Here's the link to the Yahoo story - I encourage you to check it out and download the pictures yourself. 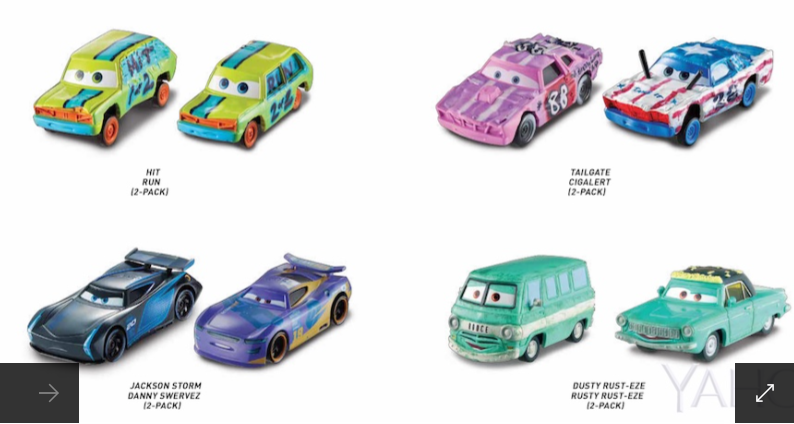 2 Super Chase Cars are included and shown in the second picture: Cruz Ramirez as Crazy Eight Frances Beltline and Morgan Martins, an ambulance. 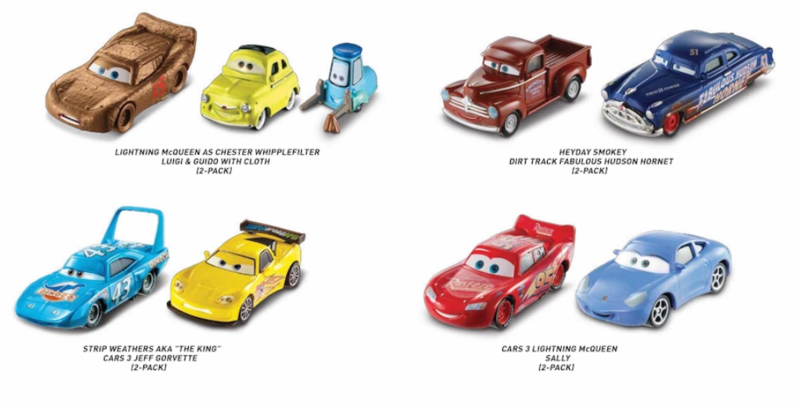 There are some great looking Cars... again, first look Cars from store exclusive boxed sets are not shown in the pictures. 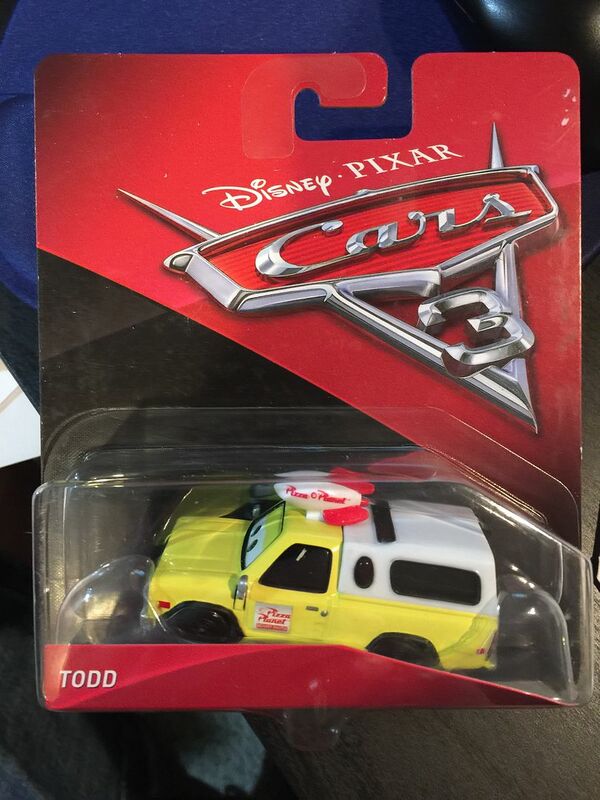 Less than 3 full days until Cars 3 stores are available in all stores in the US... I hear from friends from Australia that the same May 1 release date holds true. 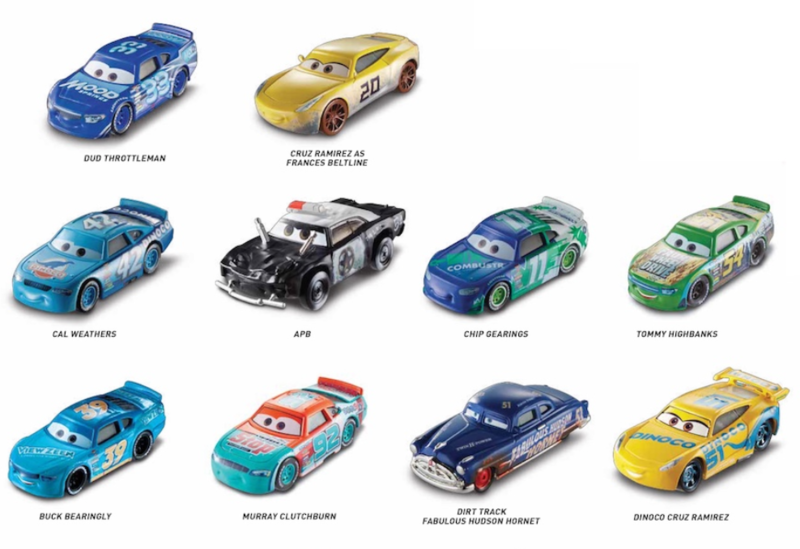 What a way to celebrate the 6th birthday of PixarCarsDiecast.com! 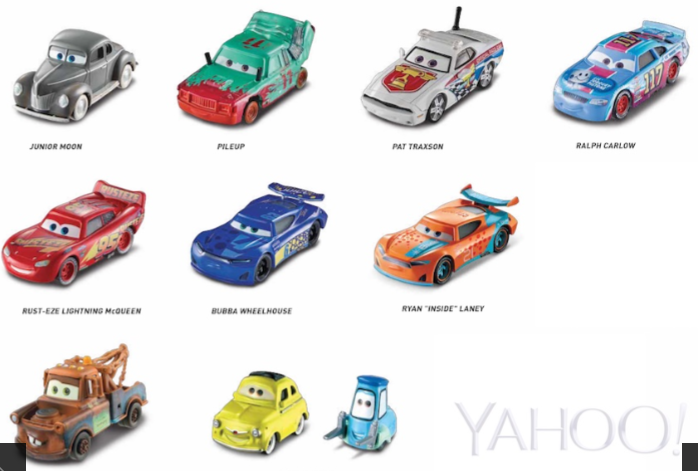 Here are photos showing the Cars from the Cars 3 posters shown on Yahoo yesterday... I have zoomed in a little to allow us to see a little more of the Cars and their names. 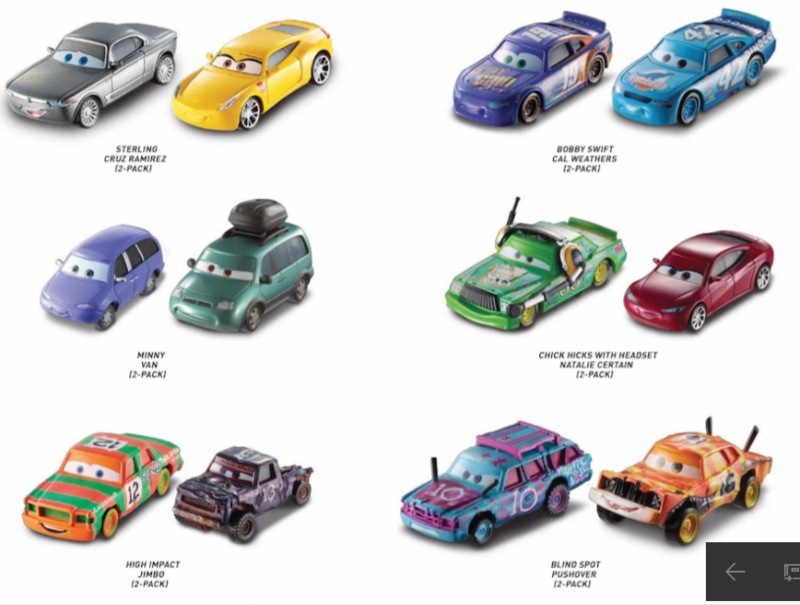 Remember that first look Cars that are part of boxed sets are not shown in Cars posters. 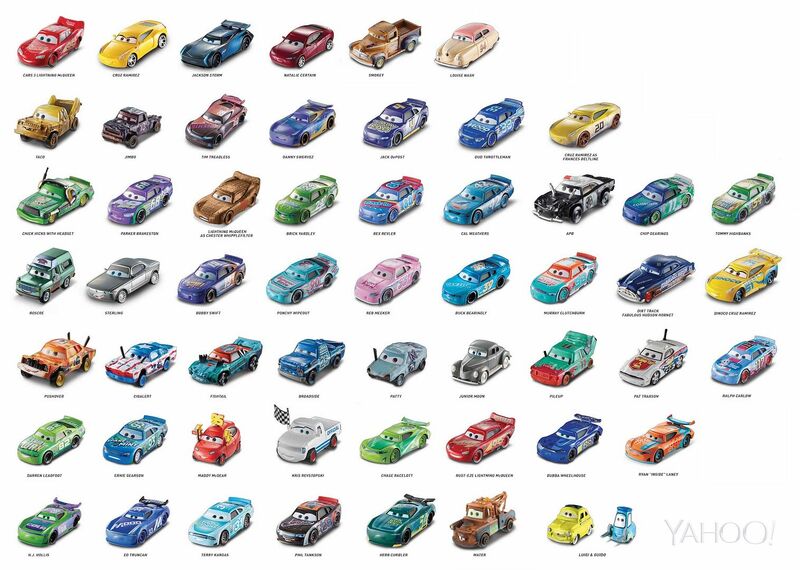 I wonder how long it will take the Cars 3 poster to show up on the Mattel website? I am looking forward to adding a lot of Cars to my collection... are you? Thanks for the pictures. Really looking forward to picking some of these up. Exciting times ahead! Thanks for posting these! 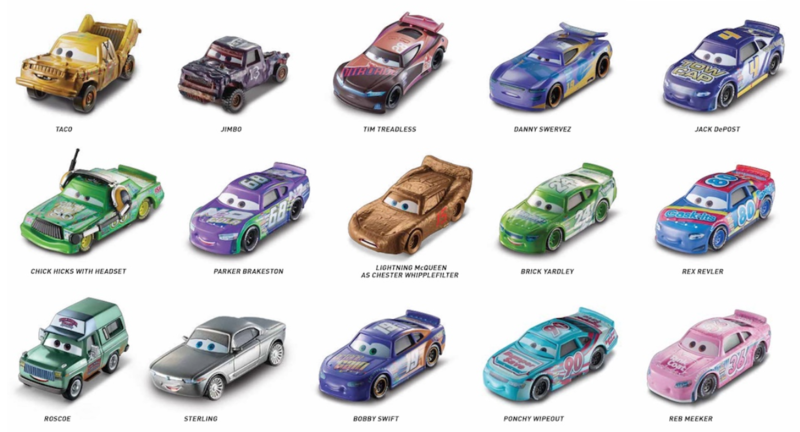 I love mostly all of these, especially the racers! However, I find it hard to believe that some are still around, such as Darren Leadfoot, Ernie Gearson, etc. I much prefer having new racers taking over. For example, Dud Throttleman is now the Mood Springs racer rather than Chuck Armstrong. It just makes sense since it has been 11 years since the first movie. Plus, I don't recall any other racers being rookies in Cars 1 besides McQueen. Todd has been found as a single at Walgreens but he's not on the poster... and this Todd is clean (like new) as opposed to the previously released Todd single. Same here. Can't wait to add some of these to my collection. Last edited by Berrett; 09-13-2017, 10:36 AM. Same here. Can't wait to add where to buy v tight gelsome of these to my collection. berrett where you get this? Last edited by Reiguel; 04-04-2019, 08:33 AM. 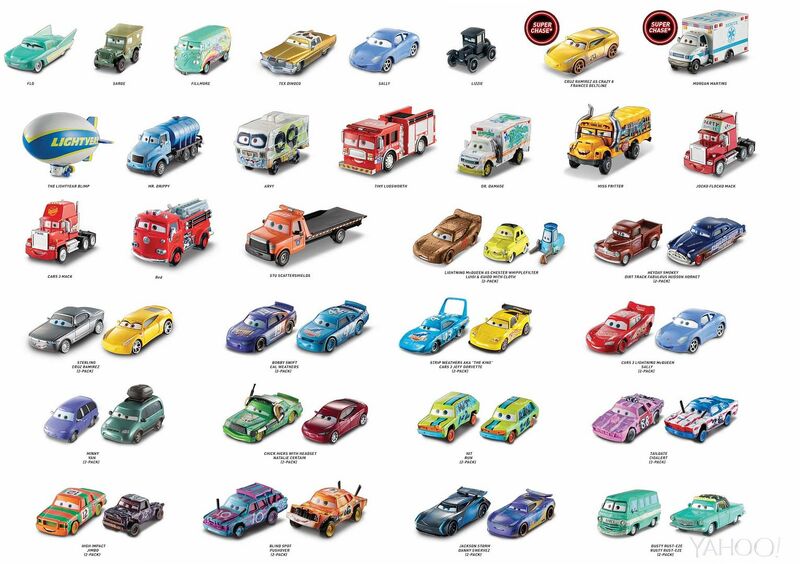 I find it interesting, and not in a good way, that 11 months after posting about this 2017 Cars 3 poster there are still Cars unreleased in the USA as well as other countries... some of the Cars have been released as part of the 2018-2019 series... others are still not available. All times are GMT. This page was generated at 03:28 AM.